That Shirley Jackson's short story "The Lottery" has managed to perennially retain its status in anthologies and high school curriculums as a quintessentially "American" work of literature is – on paper, at least – curiously anomalous. A parable of sorts in its minimal exposition and heavy-handed moralizing, the story involves a community of individuals disposed to the execution of an age-old tradition in the spirit of self-preservation: the tradition – by necessity violent and in essence irrational – entails sacrificing at random an individual of the community so as to ensure a sufficient harvest. First published in the 26 June 1948 issue of The New Yorker, the premise sounds silly enough -- almost laughably irrelevant -- not only now but also to the supposedly enlightened midcentury audience to whom Jackson was writing: her townspeople are ungraciously provincial, reliant upon fuddy-duddy platitudes and unbridled adherence to their crude and primitive folkways. After one character notes that surrounding villages have begun to forego similar rituals, an older, well-respected member of the community scoffs at this proposed negligence of tradition: not only would a slippery slope ensue, but such practices demarcate and dissociate their community from other, less principled "crazy fools". Upon the 65th anniversary of the story's publication, Ruth Franklin, author of the biography Shirley Jackson: A Rather Haunted Life (Liveright, 2016) noted in her contribution to The New Yorker the responses that "The Lottery" incited: it elicited "the most mail the magazine had ever received in response to a work of fiction" and was deemed "'outrageous,' 'gruesome,' or just 'utterly pointless,' in the words of some of the readers who were moved to write." Her audience found not only the narrative itself perplexing (according to Franklin, some asked – apparently without sarcasm – "where such lotteries were held, and whether they could go and watch"), but many – presumably echoing the contemporary postmodernist influence on Western thought – questioned the point Jackson was attempting to make. After all, in the prior decade, moderation had withstood the challenges of fascism on a global stage, and by all appearances, the so-called human spirit had prevailed over the forces of oppression. Perceived through this lens then, especially without any overt details regarding when or where the story is set, Jackson's original readership would have found her depiction of this particularly antediluvian fashion of savagery hardly believable. In fairness, the story is not particularly imaginative, nor is her portrayal of these characters and their dogmatic rigidity especially nuanced. But then Jackson's purpose in writing "The Lottery" in the first place was admittedly straightforward. Amidst the rash of feedback, Jackson wrote to one reader, "I suppose I hoped, by setting a particularly brutal ancient rite in the present and in my own village, to shock the story's readers with a graphic dramatization of the pointless violence and general inhumanity in their own lives." If her objective was indeed to shock, she certainly succeeded: the hundreds of responses she received – many of which she later cited in her lecture " Biography of a Story", her first-hand account of the story's conception and unanticipated impact – resound with shock. However, despite its success on this front, one has to wonder if "The Lottery" sufficiently directed the public's consciousness to its own alleged proclivity for "pointless violence" and "general inhumanity". Seemingly, Jackson made this obvious enough, but those same shocked responses reflect a common lack of perspicacity in this regard, as if the violent and inhumane byproducts of fascism and the forces of oppression – concentration camps, gas chambers, atomic bombs – hadn't directly preceded the recent triumphs of moderation and the human spirit. In her article, Franklin comments on this phenomenon as well: "In 1948, with the fresh horrors of the Second World War barely receding into memory and the Red Scare just beginning, it is no wonder that the story's first readers reacted so vehemently to this ugly glimpse of their own faces in the mirror, even if they did not realize exactly what they were looking at." Readers of "The Lottery" today have the benefit – or at least the context – of Jackson's intent, which explains why this story has since been referred to as a modern-day fable or parable. The designation rightfully applies, as the story is short, pithy and pointed – if the villagers are to represent her readers – in its assessment of humanity's ruthless tendency toward idealism at the expense of that which supposedly renders us human: civility, empathy, an essential moral code. In fact, one is now compelled to wonder how Jackson could have made her point any more lucid: any further degree of overstatement would have strained not simply Jackson's creativity but the confines of creative writing itself. That "The Lottery", scant on ambiguity and having borne from the outset this didactic function, still left (at least according to those letters Jackson made accessible) so many readers confused about "exactly what they were looking at" is an irony that modern audiences ought to heed. Jackson's motifs of "pointless violence" and "general inhumanity" are both timeless and universal, after all, and if a simple parable could not inspire some self-reflection in an arguably simpler time, one probably has reason to wonder what messages are falling on deaf ears today. Seventy years later, whatever progress we've achieved toward mitigating that capacity for violence apparently hasn't proven reformative enough to render more contemporary, similarly pointed works passé. Raphael Bob-Waksberg's animated TV series, BoJack Horseman, one of the more stirring social critiques of recent years, in fact, parodies its audience with a brasher, more explicit blatancy than that with which Jackson employed via her ignoramus villagers. Now five seasons in, the consistently lauded, original Netflix television show has offered some of the most incisive and provocative commentary on the habits, preoccupations and priorities that have come to typify the lives of Americans in the 21st century. For an animated tragicomedy ostensibly about a washed-up actor meandering between semi-regular existential crises and various fleeting and/or illusory semblances of fulfillment, its treatment of issues like mental health, substance abuse, and concurrent social movements make the show an essential and incontrovertible product of its time. With regard to both purpose and execution, the TV show is not too dissimilar from "The Lottery" short story. Each utilizes exaggeration or overemphasis to accomplish its purpose: whereas Jackson opted to spotlight perceived deficiencies via parable, BoJack Horseman strictly relies upon satire. The latter, with each successive season, especially manages to optimize the advantages of its form. While the lack of self-awareness that several of the main characters perpetually evince episode after episode is laughably inflated and while most of these characters operate within the sequestered affluence and privilege of show business celebritydom, the show is more pertinent than we perhaps want to acknowledge: the self-evident truth, as with Jackson's short story, is that the culture upon which BoJack Horseman casts its glaring lens is only a culture that could have engendered such a show in the first place. 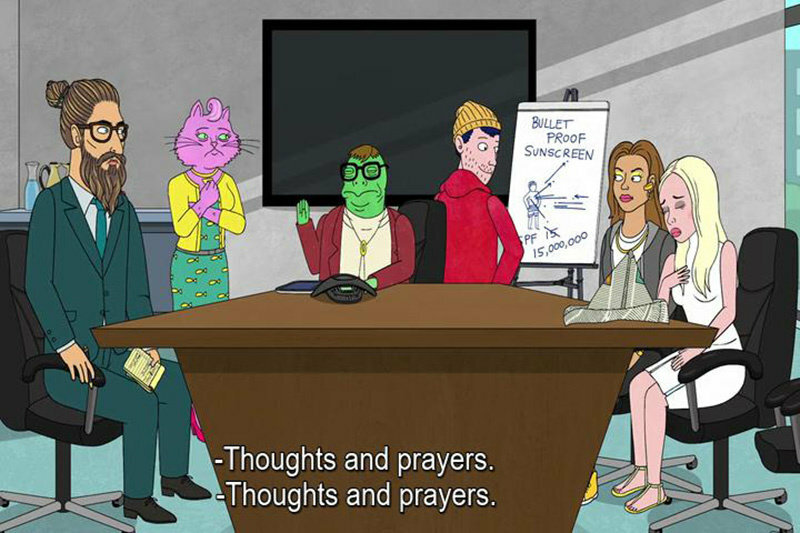 Take, for example, "Thoughts and Prayers", the fifth episode of season four, in which a particularly high-profile mass shooting (perhaps an implicit critique in itself, as we are living in a time when not all mass shootings elicit high-profile coverage) precedes the release of bigwig producer character Lenny Turtletaub's fictional film, Ms. Taken, a blockbuster shoot-'em-up featuring an armed shopaholic who also happens to be "a holic for revenge". Anticipating the consequential public relations crisis that will inevitably follow the timing of their movie's release, Turtletaub, agent and manager Princess Carolyn and lead actress Courtney Portnoy immediately begin bandying ideas in a frantic attempt to sidestep the backlash. Somehow, in the midst of their tizzy, the faintest strain of guilt manages to prick their self-interest, and they quickly resort to offering "thoughts and prayers" for those who were affected by the tragedy in much more personal and traumatic ways. Their responses are just as canned as the phrase might suggest: it's a convenient, painless means of responding to an inconvenient, painful reality and, though the manner in which they rattle off their supposed sentiments is exaggeratedly flippant, the characters too closely resemble those who would exploit and consign the phrase to Facebook and Twitter in the wake of similar, real-life tragedies without doing any real thinking or praying. The phrase itself presents a complex duality: thinking about or praying for the victims of such a tragedy is certainly a starting point for empathy, but it easily constitutes the most basic form of slacktivism, as well. This the characters exhibit egregiously: just before she offers her thoughts and prayers, Portnoy tearfully comments, "This is so sad. You always hear about mass shootings affecting other people's movie openings, but you never think they're going to affect your movie opening," and just after Princess Carolyn strategizes, "We just have to keep the story on Courtney, and not on the depressingly unstoppable rise of real-life gun violence in this country," she remembers to offer hers as well. Less than seven minutes into the episode, the phrase becomes a mindless and emotionless nod to decorum. While the narrative eventually diverges to comment upon other topics, the episode's spotlight on the absurdities that have both induced and now perpetuate America's systemic gun violence is difficult to overlook. 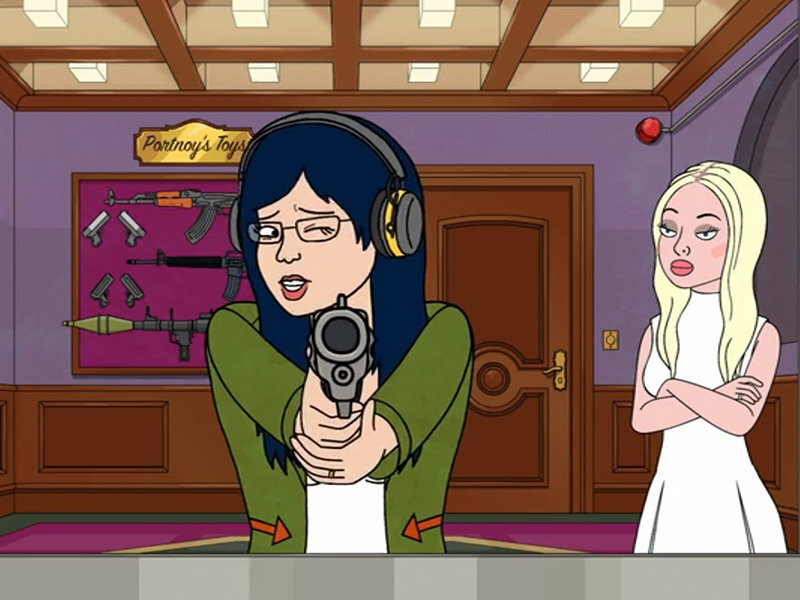 Of course, the writers could have easily invoked the trope of the conservative, gun-toting 'Murican, or skewered the Wayne LaPierres and Paul Ryans of the world, but BoJack Horseman exercises a discernment far more perceptive: the episode, in keeping with the broader shtick of the series, extends its criticism beyond those easy targets and, evidently, concludes that we are all to some degree culpable. As such, even before the five "high-profile" mass shootings that have actually occurred in the United States since the episode's release in September 2017, "Thoughts and Prayers" made for discomfiting television. The sarcasm was over-the-top and in-your-face, and its exaggeration of these societal flaws – which, by definition, satire requires – felt almost too exaggerated. In fact, in its review of the episode, The AV Club criticized the lack of subtlety, claiming that "Thoughts and Prayers" "feels blunter in getting its message across, with statements like Lenny Turtletaub's early lament 'I am sick and tired of real-life gun violence getting in the way of us telling stories that glamorize gun violence,' or Princess Carolyn's near-constant-spin efforts… They're statements cast as 'it's funny because it's true,' but in this case it's too true to be funny and too direct to be satirical." Of course, less than three weeks later, Stephen Paddock opened fire on a crowd of concertgoers from the 32nd floor suite of a Las Vegas hotel, killing 58 people and injuring hundreds more. In this light especially, "Thoughts and Prayers" is absolutely not funny, but the directness of this episode might signify the dwindling means of recourse that satire now wields in our current sociopolitical climate. Of course, animation suits indulgence to an extent that other mediums cannot. These characters exist within a self-contained, constructed world where humans and anthropomorphic animals coexist and interact with each other with no apparent governing biological hierarchy: Princess Carolyn is a cat, Lenny Turtletaub is a turtle. Theoretically, a team of writers can more or less be as direct as they want when an animated talking cat is giving voice to their words, and BoJack Horseman capitalizes on this advantage in grandiose fashion. As such, the show, both in spite of and because of the talking animals, is a representation of its viewers and their world, and the animation is one means of accomplishing this without devolving into something off-putting or preachy. For the viewer, a cat making an astute, very direct point about an issue as divisive as gun control in such blatant terms serves as a buffer: the point should be clear, but so should the satire. Upon the release of the show's fifth season this past September, in response to a question regarding whether or not the use of animation allows viewers to be more empathetic, creator and showrunner Raphael Bob-Waksberg told Vulture: "People project themselves onto [BoJack, the main character] more easily because he is not a person, he is a horse somehow. If you see Will Arnett in a show, you think, 'Well, that's Will Arnett, that's not me.' But seeing a horse somehow feels more universal, or it feels more like, 'That could be me.'" 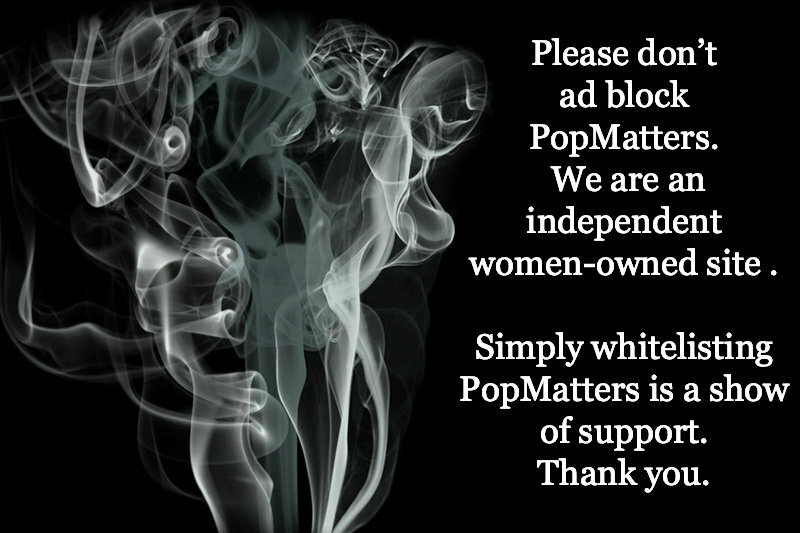 That, at least, is certainly the hope upon which the show operates. In February 2017, 18-year-old Nikolas Cruz legally procured a weapon capable of inflicting mass destruction; one year later, at a high school in Parkland, Florida, we witnessed him employ that same weapon to its most appalling and devastating potential. If we collectively cannot acknowledge, for example, the inanity in that, maybe a talking cat should at least point it out. As such, BoJack Horseman is the television show we need and probably deserve. If, like Jackson's representation, we are just a crowd of ignorant villagers oblivious to the absurdities of some of our most institutionalized norms, satire has perhaps been strained to the point where it must resort to such directness.